Latour from Tristar was responsive to all of my emails and requests for quotes. 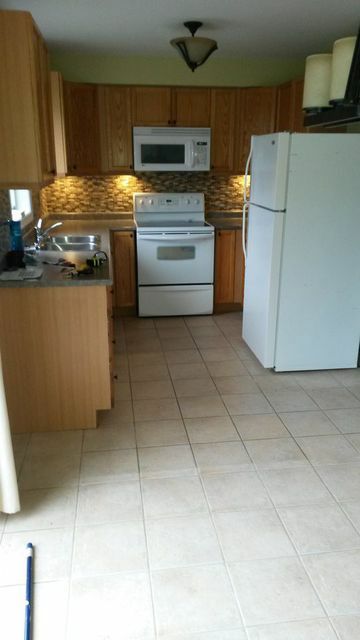 We recently purchased a condo which had a dated kitchen and orange granite countertops. I wanted a quartz countertop and debated between Ceasarstone and Silestone. 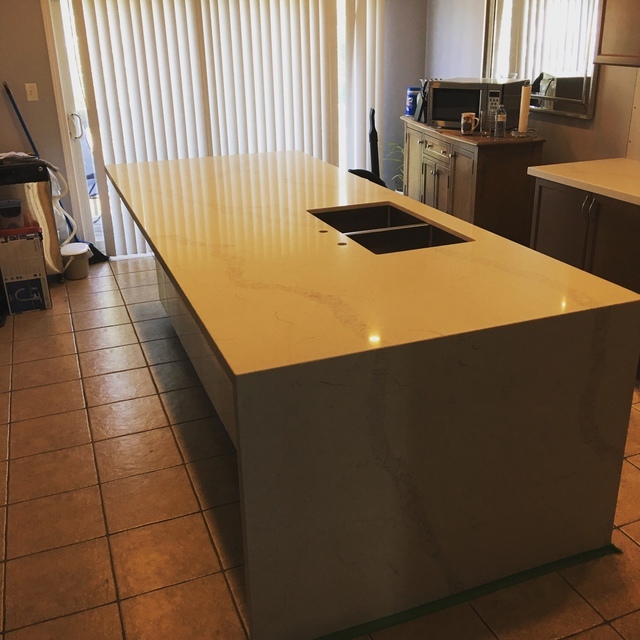 I ended up choosing 2cm Silestone with a mitered edge as Silestone offers jumbo slabs which allowed us to complete the entire kitchen using only one slab. 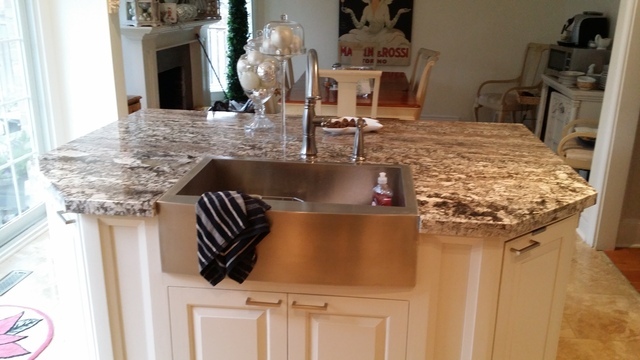 This helped us minimize the cost of our new countertops and even included an 8 foot peninsula that was 37 inches wide. 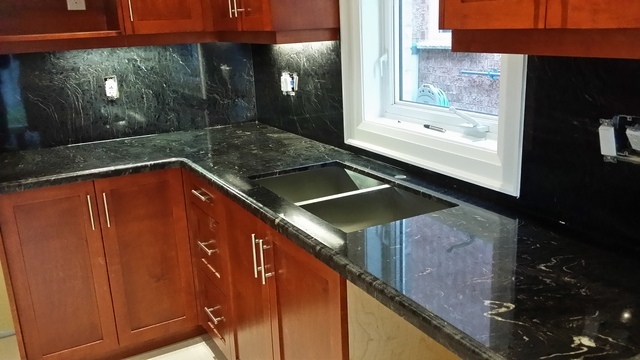 The price also included removal and disposal of the old granite countertops. Thank you Tristar! Hi Ameera and Ethan. It was great working with both of you. Glad you like your silestone Quartz countertops. It does look amazing! Thanks for the review. I recently renovated my kitchen and Tri Star Marble and Granite was recommended by someone at work. Matine and Latour were fantastic to work with. 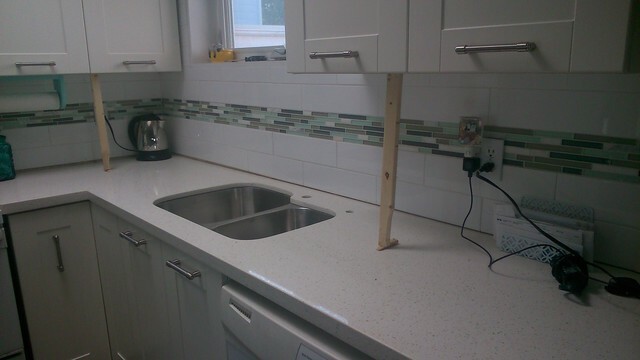 I installed the cabinets on a Friday and the countertop was installed on the following Wednesday. Matine even came to measure on the Sunday evening so we could get the counter as soon as possible. Very professional service, great quality and very happy with the price. I highly recommend using them. We do pride ourselves with our service. Thanks for the review! It was great working with you. Enjoy your new fantastic kitchen! We decided to go with Latour and Tristar after getting quotes at a few places. Latour gave us the best price and the service was fantastic. 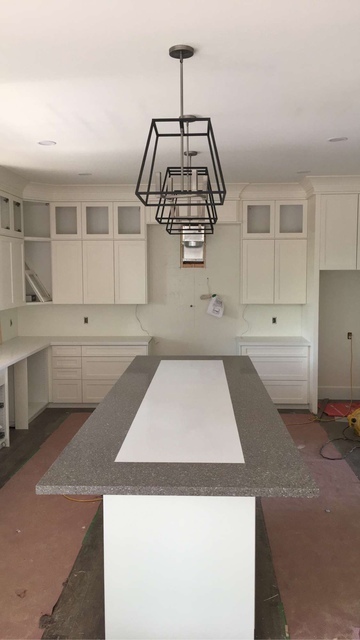 He was quick to respond to all our questions and when we were finally ready to go ahead with the project, the process from selecting the granite to the actual installation was much faster than I expected. I could not be more pleased with my granite and I would highly recommend Tristar. Hi Cassie, thanks for the amazing review! It was a pleasure doing business with you. Glad you like your kitchen countertops! My husband and I walked into Tristar Marble & Granite without an appointment in search of a quartz kitchen countertop. We meet with Latour Morb son of the owner. We struck a deal on the spot for countertop and sink. I took 2 samples home and when we were ready called Latour. Matine Morb the owner came to measure and gave us an install date. Unfortunately, we weren't able to meet the install date and I called Latour to reschedule. He had to change his schedule around and was able to get us in 1 day later than originally scheduled. Latour's brother who's one of the installers showed up with his job partner right on time and installed everything. Took about an hour and a half. They were very professional explaining everything as they went along. My husband and I were really impressed with the job from start to end. A great family owned business that I would use again and recommend to my friends. Hi Linda thanks for the kind words. I'm glad you like the quartz countertop. Hi David, it was a pleasure working with you and your wife. I'm glad you like the granite countertops and thank you for your review. Update to the co. response: Latour, it wasn't almost a year after we noticed the crack. It was shortly after the install. Perhaps you are forgetting that over the year our kitchen contractor, who is also my friend and neighbour, tried over 1 year to get a response from you until he too gave up. Your company came to inspect and it was a crack not a scratch. The last time our kitchen contractor called you, I was present, you had come back from your long vacation in Asia, and you still didn't contact him. Funny as to how we are now hearing anything about Silestone decision. I guess to convey the manufacturers decision to our contractor never crossed your mind. Sorry but Latour, you definitely are not your father!!! Hi you contacted us almost 1 yr after the installation your concerns about a hair line scratch or possible crack which we went out to inspect after you called us. But unfortunately Silestone, the company that makes then quartz does not compensate for that. 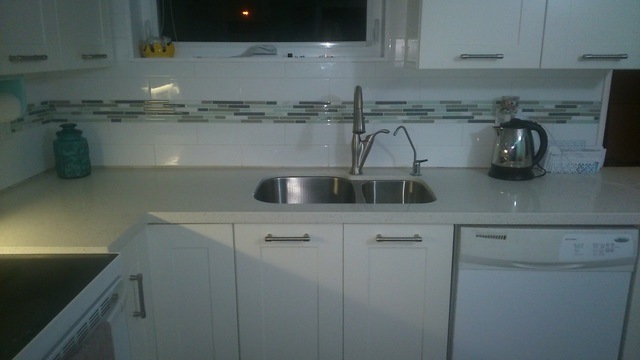 I assure you quartz is the most durable product you can put as your counters but it is not Indistructable! with regular use it is very difficult to damage. The counters were installed in perfect condition with no crack. Since it happens quite a while after there's not much we can do for your basement bar/kitchen and entertainment room. We were looking to replace our kitchen counter top and breakfast bar counter. I got three quotes. Tristar Marble was a full 20% cheaper than our next lowest quote. They delivered a lovely Quartz material and installed it. Clean and fantastic job. My wife ahd I couldn't have been happier. The most difficult part was choosing from all the fine samples brought to our house. Fantastic job, Latour! I did a total kitchen renovation when I took possession of my house and I received Latour's contact information from a friend of mine who also had a fantastic experience with him. I did customer cabinetry, new flooring, and I purchased quartz countertops from Tristar Marble and Granite. Latour was professional and punctual at responding to my phone calls and emails. I absolutely LOVE my kitchen and I would recommend Tristar Marble and Granite to anyone that wants a great product at a great price! Hi Heather, I'm glad you like your quartz countertops. Thanks for the review and pictures! Thanks David I'm glad that we were able to help you out. Thanks for the review! I have absolutely nothing but praise for Latour Morb and Tristar Marble & Granite Corporation. I found Latour right here on Homestars. I left him a message and he returned the call the same day…exceptional customer service. He came out to our home in Caledon East the same night. The following day, we met him at the shop to confirm the colour of the granite. Installation was completed earlier than scheduled (a pleasant surprise). The team arrived on time and did an exceptional job. The granite is beautiful and it really brings out the rest of the kitchen. It was a pleasure doing business with Latour. He is knowledgeable, professional and an asset to the company. We are so impressed that we thinking about getting him to do the granite tops for our washroom vanities. Thank you, Latour and team! This experience was a pleasure from beginning to end. Hi Anne Marie. I agree the Titanium Granite Counter top looks really nice in your kitchen. I'm glad you like it also. You and your husband was a pleasure to deal with. Thanks again. Tristar Marble and Granite is the direct fabricator and installer of custom Granite Marble and Quartz counter tops. With 15 years of experience in the business, we always believe that the biggest compliment we can get is a referral. That is how even with minimal marketing, we remain one of the top go to companies in our industry. Our main clientele are kitchen and bath companies as well as contractors but we do deal with direct clients also. Use the kitchen companies to do your cabinets and get us to make your counters. Think of us when renovating your kitchen! All natural stone products such as Marble Granite and Travertine. Also available is a very large variety of Quartz. From Silestone Caesarstone Diamastone Dupont Zodiak Hanstone and many others. Counter tops is what we do! We do not outsource any services. We do it all inhouse. 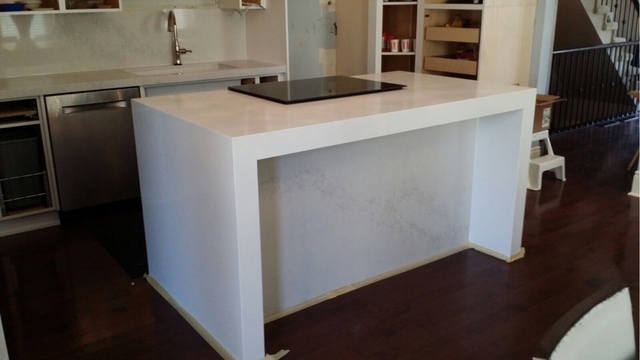 From templating your kitchen or bathroom to fabricating and installing your counter tops. This way quality is guaranteed! 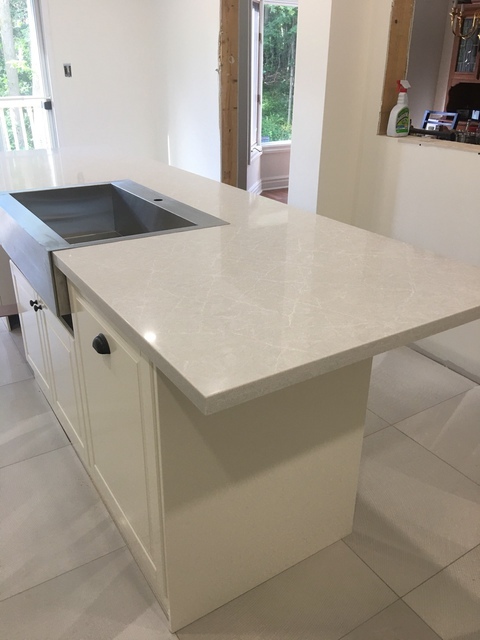 Silestone, Caesarstone, Hanstone, Dupont Zodiak, Samsung Quartz at Tristar Marble and Granite we offer a wide range of brands to choose from. 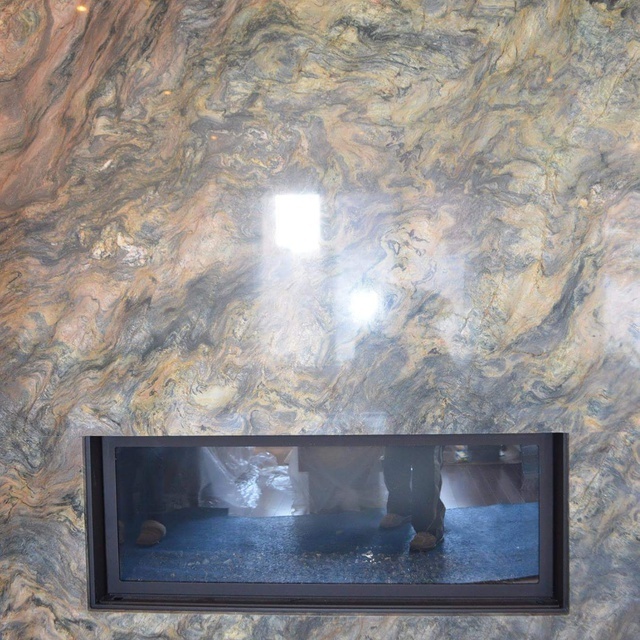 Custom Kitchen Counters tops, bathroom vanities, fireplace wraps. All natural stone such as Marble and granite. Also wide range of Quartz available.